Bengaluru WordPress Meetup - September 2016! WordPress security is often referred to as “hardening”, after all, the process is like adding reinforcements to your castle. It’s all about bolstering the gates and putting lookouts on every tower. Evidently, WordPress security is a hot topic of discussion and debate. There are a lot of myths around with regards to WordPress and security. 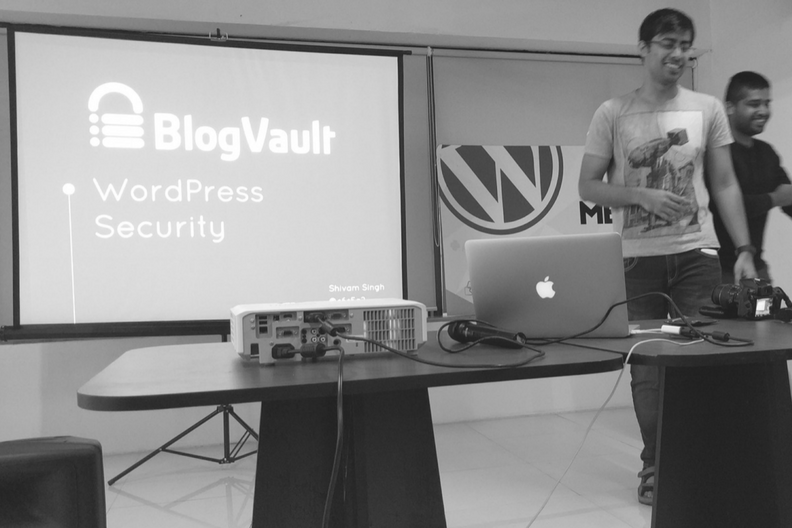 So we thought why not talk about WordPress Security at our Bengaluru WordPress Meetup – September 2016! And because security is really important, the speaker of the event was Shivam Singh, a developer at Blogvault, a WordPress backup plugin company. Blogvault was working on a security product and understood the security landscape within WordPress really well. And hence, they had more clarity and insights on WordPress Security. How to secure your WP Site? How to Secure your code? Wasting Time in the name of Security! Bengaluru WordPress Community organizes meetups on the 3rd Saturday of every month. These are free and open to anyone who wants to learn about WordPress or just use it for their business. Also catch the latest updates on our Meetup Page!